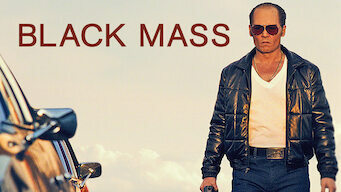 How to watch Black Mass (2015) on Netflix Netherlands! Sorry, Black Mass is not available on Dutch Netflix, but you can unlock it right now in the Netherlands and start watching! With a few simple steps you can change your Netflix region to a country like Egypt and start watching Egyptian Netflix, which includes Black Mass. We'll keep checking Netflix Netherlands for Black Mass, and this page will be updated with any changes. Black Mass is not available in Netherlands BUT it can be unlocked and viewed! This drama recounts the real-life story of Whitey Bulger, the infamous gangster who made a deal with the Feds and eluded arrest for years. He was dangerous enough when he was working against the Feds, but even more deadly when he started working with them. There is a way to watch Black Mass in the Netherlands, even though it isn't currently available on Netflix locally. What you need is a system that lets you change your Netflix country. With a few simple steps you can be watching Black Mass and thousands of other titles!